In the 1840s and 1850s, "Brady of Broadway" was one of the most successful and acclaimed Manhattan portrait galleries. Henry Clay, Daniel Webster, Dolley Madison, Henry James as a boy with his father, Horace Greeley, Edgar Allan Poe, the Prince of Wales, and Jenny Lind were among the dignitaries photographed in Mathew Brady's studio. But it was during the Civil War that he became the founding father of what is now called photojournalism and his photography became an enduring part of American history. The Civil War was the first war in history to leave a detailed photographic record, and Mathew Brady was the war's chief visual historian. Previously, the general public had never seen in such detail the bloody particulars of war--the strewn bodies of the dead, the bloated carcasses of horses, the splintered remains of trees and fortifications, the chaos and suffering on the battlefield. Brady knew better than anyone of his era the dual power of the camera to record and to excite, to stop a moment in time and to draw the viewer vividly into that moment. Few books about Brady have gone beyond being collections of the photographs attributed to him, accompanied by a biographical sketch. 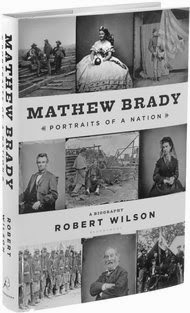 MATHEW BRADY will be the biography of an American legend--a businessman, an accomplished and innovative technician, a suave promoter, a celebrated portrait artist, and, perhaps most important, a historian who chronicled America during its finest and gravest moments of the 19th century. About the Author: Robert Wilson is the author of The Explorer King, a biography of Clarence King, the Indiana Jones of the 19th century. 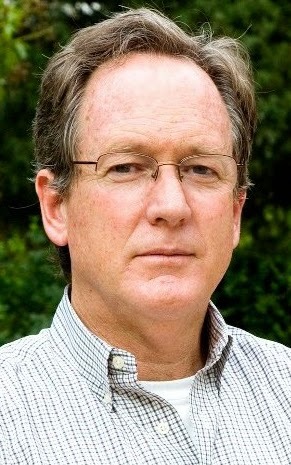 He is editor of The American Scholar, a former editor of Preservation, the founding literary editor of Civilization (all three of which won National Magazine Awards during his tenure), a former book editor and columnist for USA Today, and a former editor at The Washington Post Book World. He is the editor of A Certain Somewhere: Writers on the Places They Remember, a collection of essays from Preservation magazine published by Random House in 2002. 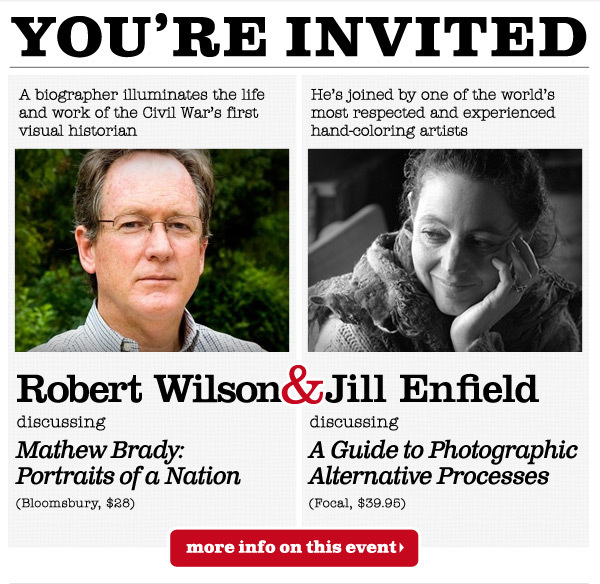 Also lecturing, is Miami Beach native Jill Enfield, world reknowned expert on historical photographic techniques including several methods used by Mathew Brady before, during and after the Civil War. 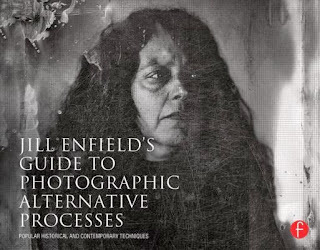 Enfield will be signing her latest book: Jill Enfield's Guide to Photographic Alternative Processes: Popular Historical and Contemporary Techniques which is packed with stunning imagery, how-to recipes, techniques, and historical information on the evolution of processes. This includes instruction on the methods of making images that Mathew Brady employed before, during, and after the Civil War. Enfield will also be making a glass plate portrait of Robert Wilson to be passed around during the evening for attendees to get a sense of Brady's process. For those interested in learning how to make wet plate collodion images themselves, Enfield will also be demoing the process that Mathew Brady employed in a private class, on Wednesday, December 11 from 10:30 – 6pm. For more information on the class, contact Jill at jill@jillenfield.com or call (917)518-7043. As technology advances in the world of photography, a passionate crowd of professionals, students, and hobbyists is returning to the darkroom in search of a more authentic, handmade feel to their art. 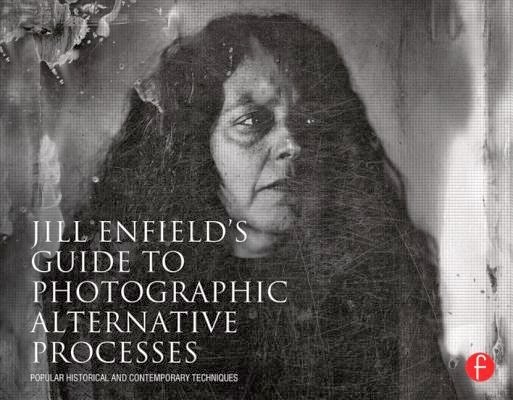 Jill Enfield's Guide to Photographic Alternative Processes shows how to do just that. This guide provides the instruction to emulate the ethereal, dream-like feel of alternative processing. Whether in a darkroom using traditional chemicals, at the kitchen sink with pantry staples, or in front of the computer re-creating techniques digitally, you will learn how to add a richness and depth to your photography like never before. 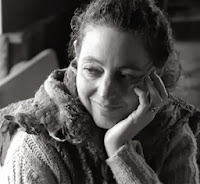 About the Author: Jill Enfield, one of the most experienced and respected hand-coloring artists in the United States, is a fine art, editorial, and commercial photographer. Enfield was selected as one of Professional Photographer Magazine's "100 Most Significant Influencers on Professional Photography 1907-2000," She has taught hand-coloring and non-silver techniques at Parsons The New School for Design, Fashion Institute of Technology, New York University, Long Island University, and the International Center of Photography in New York, as well as at workshops throughout the United States and Europe. To get a quick look at Enfield’s technique click here.